The Hambro name has been closely associated with the investment world for more than 200 years. Founded in 2010, James Hambro & Partners LLP (JH&P) is an Independent Private Asset Management Partnership with assets under management, advice and administration of £2.8 billion (&dollar;3.8 billion). The partnership offers institutional-quality investment management to HNW families, trusts, individuals, charities and associated portfolios. William Francklin joined JH&P in July 2017 and has over 30 years' experience managing portfolios. 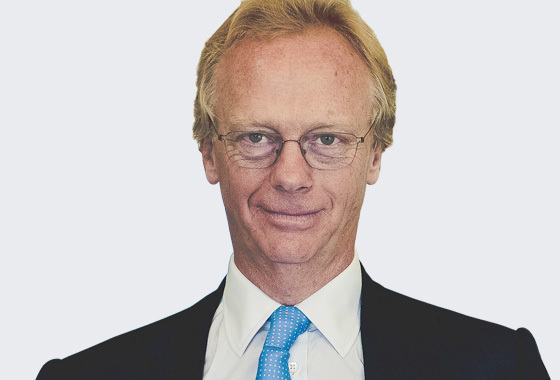 He began his career in investment management in 1981, working at Morgan Grenfell Asset Management (in both London and New York) and latterly at Waverton Investment Management. William has also managed assets for American clients for a number of years. As JH&P has SEC authorisation (as of July 2017) he will continue to manage global portfolios for US clients based in the US and overseas. Royal London Asset Management (RLAM) was established in 1988 and is a wholly-owned subsidiary of the Royal London Group (founded 1861). The Group consists of the Royal London Mutual Insurance Society Limited (RLMIS) and its subsidiaries, and is the UKâ€™s largest mutual life, pensions and investment company. RLAM also manages assets to external clients, notably corporate pension schemes, local authorities, insurance companies, charities, endowments, universities, wealth managers etc. It has AUM of £106 billion/&dollar;140 billion (June 30 2017). 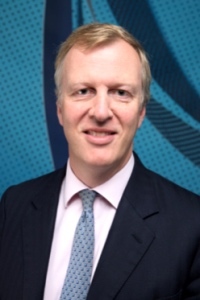 Mike Fox is Head of Equities and Senior Fund Manager of the Sustainable World Trust and Sustainable Leaders Trust, the latter role he has fulfilled since November 2003. During this time he has been awarded Citywire Top 100 UK Growth Fund Manager of the year (2007) and has a 4* Morningstar rating. Jeremy Thomas joined Sarasin & Partners in 2016 from Allianz Global Investors where he spent 12 years. Prior to this he spent three years at Isis Asset Management (now BMO Global), five years at Schroders and five years as a British Army Officer. He has a degree in PPE from Oxford University. London-based Sarasin & Partners LLP manages £14.1 billion (&dollar;18.3 billion). Local management own 46% of the economic interest of the partnership with the remaining 54% owned by Basel-based Bank J Safra Sarasin Group (AUM &dollar;154bn). Sarasin & Partners manages money for domestic and overseas private clients, charities, pension funds, institutions and retail investors. 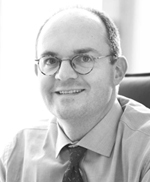 Matthieu Rolin joined Aviva Investors France in 2015 and covers US equities. He was previously a senior portfolio manager at SwissLife Banque Privée (2010 - 2015) and a senior fund manager at Olympia Capital (2004 - 2010). He has a Masters in Banking and Finance from Université Lumière (Lyon II) and SKEMA Bachelor. Aviva is one of the world's largest insurance groups with global assets of >&dollar;630 billion. It is also France's third largest multi-line insurer and has ~&dollar;50 billion under management. Close Brothers Group plc is a leading UK merchant banking group listed on the London Stock Exchange. The business was founded in 1878 by William Brooks Close, initially providing farm mortgages in Iowa and financing the first railway in Alaska. Its asset management division, Close Brothers Asset Management (CBAM) has AUM of £10billion and manages assets for private clients and their families, institutions, charities and foundations. Troy Asset Management was established in 2000 as an independent asset manager by the late Lord Weinstock and Sebastian Lyon. The objective was to create a fund management business that was open to a wide group of investors who shared the philosophy to achieve absolute rather than relative returns. Troy seeks to preserve and build investors' wealth by constructing conservative portfolios for the long term without reference to a benchmark. Total funds under management were c. $10.5 billion as at 31 st July 2016. Portfolios tend to be concentrated, and the stocks within them held for long periods - usually for â‰ˆ10 years. Davy Asset Management is part of the Davy Group, one of Ireland's leading financial services firms, providing wealth management, asset management, capital markets and financial advisory services, to domestic and international clients for 90 years. The Davy Group has assets under management of €14 billion+ ($15.45bn). Its subsidiary Davy Asset Management manages over €3.8 billion ($4.2bn) on behalf of clients across equity, fixed income, multimanager and alternative investment strategies. The UK is consolidating the pension funds of its local authorities, creating larger pots of capital. 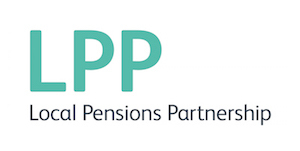 One example is LPP, formed in April by pooling the assets of the London Pensions Fund Authority (LPFA) and Lancashire County Pension Fund (LCPF). LPP will continue to implement the long-term, large-cap focused approach of its predecessor funds, though it will have more money to play with. Cologne-based Flossbach von Storch ("FvS"), founded in 1998 by Bert Flossbach and Kurt von Storch, is one of Europe's leading independent investment management firms with > 120 employees and TAUM of > $24 billion. They manage global multi asset strategies, equity, bond and convertible funds for both private and institutional clients. They are longer-term investors. Standard Life was founded in Edinburgh in 1825, and Standard Life Investments was formed in 1998 as its wholly owned investment management business. Today it has $400 billion AUM, >50% of which is third party. The head office remains in Edinburgh and it has offices worldwide, including Boston. Legal & General is one of the largest life assurance companies in the UK. Its asset management subsidiary, Legal & General Investment Management (LGIM), has total assets under management of over Â£735 billion ($1.2 trillion). Historically, the large majority of LGIM's equity assets have been indexed, making it the second largest European institutional manager, after BlackRock Global Advisors. Alecta has been an occupational pension specialist since 1917. Its task is to provide collectively agreed occupational pensions for both corporate clients and private customers. It managed approximately &dollar;80 billion (SEK 685 billion) as at year end 2014 on behalf of two million private individuals and 33,000 corporate clients. Alecta is a mutual life insurance company, which means it is owned by its customers. Alecta's task is to ensure that the occupational pensions negotiated by the Confederation of Swedish Enterprise (Svenskt N&amacr;ringsliv) and the Council for Negotiation and Co-operation (PTK) maintain the highest possible value for both employers and employees. Investec Asset Management began as a small start up in 1991 offering domestic strategies in an emerging market. It is now an international business with &dollar;115 billion AUM (as of 31.3.15). It provides investment products and services to clients which include pension funds, central banks, sovereign wealth funds, insurers, foundations, financial advisers and individual investors. It invests in global, emerging and frontier markets in equities, fixed income, multi-asset and alternative asset classes. It incorporates ESG in its investment approach and embraces the concept of active stewardship. Its investment teams are based in London and Cape Town. Amundi has almost $1 trillion (â‚¬850 billion) of assets under management worldwide, making it the largest asset manager in Europe and in the top 10 worldwide. It has approximately $126 billion (â‚¬109 billion) invested in equities. 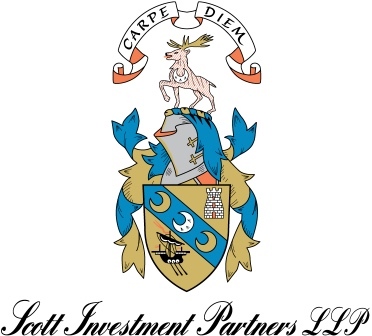 Founded in 2013, Scott Investment Partners is a global equity investment management firm founded by Dr. Walter Scott, Marilyn Harrison and Matthew Scott. The new Scott Investment Partners LLP manages monies for two institutional clients worth an estimated $250 million. They are long term investors running concentrated portfolios. They look for companies that have unique competitive advantages, strong business and financial models, low or no debt, a good long-term vision, good control of their operating environment and generating strong returns for their equity owners. Etablished in 1997, Artemis is an independent, owner-managed asset management firm. TAUM are $31.6 billion and comprise a number of funds, two investment trusts, a hedge fund, a venture capital trust and pooled and segregated accounts for institutional portfolios. Fund managers are required to invest in Artemis funds so their interests are directly aligned with their investors. They have no investment style constraints because as active fund managers, they want the freedom to adapt to changing markets and to stock pick. Artemis are benchmark aware, not benchmark driven. Fidelity Worldwide Investment (FIL) was established in 1969 to cater for the growing market for international and offshore investors. It was originally part of Fidelity Investments (FMR), one of the world's largest providers of financial services, with assets under administration of $4.5 trillion, including managed assets of $1.9 trillion (as at 31.1.14), but has been a separate and independently managed company since 1980. RWC Partners was founded in 2000 and today has more than $7 billion under management. Although the firm started out as an absolute return, long-short house, today most of its money is long-only, focused on long-term real returns. None of its funds are constructed to track an index. Ruffer LLP has AUM of ~ $24 billion, a third for private clients, a third for institutions and a third for charity and retail. The firm was founded in 1994 by Jonathan Ruffer, Earl Ferrers and Jane Tufnell who all remain active in the business today. Ruffer's investment approach focuses on absolute returns. The research team selects securities without reference to any index benchmark. Ruffer has offices in London, Edinburgh and Hong Kong. Orbis was founded in 1989 to provide clients with performance-oriented global investment management based on the principles of longterm, fundamental and contrarian thinking. We continue to manage the same equity and absolute return funds offered since the firm's inception, and have selectively added new ones when we believed they served the best interests of our clients. While these principles remain unchanged since inception, we have continually reinvested in our people, processes and technology to build scalable and sustainable investment and operational capabilities. Sustainalytics is the largest independent provider of environmental, social and governance (ESG) research and analysis for the global investment community. It provides ESG research and analysis, and responsible investment services. Headquartered in Amsterdam, Sustainalytics has offices in Boston, Frankfurt, Paris, Singapore, Timisoara and Toronto, and representatives in Bogotï¿½, Brussels, Copenhagen, London and San Francisco. The firm has more than 120 staff members, including over 70 analysts. Founded in 2010, CPH Capital is an international asset manager, with one external shareholder (Formuepleje) and 27% employee ownership. The team behind CPH Capital previously worked together at BankInvest, Copenhagen. Currently there are two investment strategies; Global Equities and Global Consumer Equities. CPH uses a bottomup stock picking investment process, translating into style-neutral, fully invested portfolios containing only active positions. Both portfolios seek stocks in high-quality companies at attractive valuations. They focus on strong cash flowgenerating companies with well-built market position and the ability to create value in the long term. CPH currently has some $2 billion AUM. Aviva Investors is the global asset management business of Aviva plc, one of the world's largest insurers, operating in 15 countries in Asia Pacific, Europe, North America and the UK with assets under management of $436 billion (ï¿½274 billion) as of June 30, 2012. 63% of assets are in fixed income, 14% in equities, 9% in real estate, 7% in mixed and 7% in liquidity. Spain's financial sector is undergoing a major restructuring process as assets under management shrink and investment firms consolidate. Some successful stock pickers remain. Merchbanc was established in 1981 and is based in Barcelona but has offices in Madrid and Zaragoza as well. It has ï¿½500 million ($655 million) under management - 70% in mutual funds and 30% in pension and private client funds. It invests internationally. Deka is the investment management arm Germany's public savings bank network. There are around 457 savings banks and together they form the largest banking group in Germany with over 16,000 branches. Savings banks are by far the largest customers of Deka. With total assets under management around $200 billion, Deka is one of the largest fund managers in Germany, running 640 mutual funds and 550 special funds. Deka has ï¿½125 billion ($160 billion) in equities and invests worldwide. FOURPOINTS Investment Managers was created in May 2012 as a result of the merger of IT Asset Management and PIM Gestion France. IT Asset Management was created in 1994 by Muriel Faure and Benoit Flamant while PIM Gestion France was created in 1998 by Beatrice Philippe and Michel Raud. FOURPOINTS remains part of the Philippe group, established in 1931 with offices in New York and Paris. FOURPOINTS now has $1 billion in assets under management in a mix of open-ended equity funds and institutional mandates. About 95% of assets are invested in equities and approximately 45% in US equities. The firm has 10 portfolio managers/analysts running concentrated portfolios of 30 to 50 stocks. Aberdeen Asset Management (AAM) is one of the world's largest investment management groups running money on behalf of both institutional and retail clients. Total assets under management are $295 billion, including $148 billion in equities managed across its different offices globally. Although it has offices in 23 countries, fund management is primarily conducted from Edinburgh (global equities, European equities and multiasset), London (European equities, fixed interest, multi-asset and property), Philadelphia (US equities, fixed income and property) and Singapore (Asia Pacific equities, fixed income and property). The Edinburgh-based global equity desk manages around $40 billion in various strategies with approximately $32 billion in global equity funds of which about $8 billion is invested in US equities. AAM global equity funds run portfolios which are quite concentrated with a range of between 40 and 60 stocks. The model portfolio will establish a new position with a 1% weight and this can rise to a maximum of 5% in a single holding, (meaning that positions vary from $400 million to around $2 billion). Classic Fund Management (CFM), a fund manager in Liechtenstein, and Braun, von Wyss & Mï¿½ller (BWM), its Swiss-based advisor, is a group of fund management firms established in 1997 by Erich Mï¿½ller as well as Thomas Braun and Georg von Wyss, former colleagues from the Swiss private bank, Rï¿½d Blass. CFM/BWM is one of Switzerland's most successful value investors. They run approximately $865 million in US and European stocks through their three mutual funds; the Classic Global Equity Fund ($645 million), the Classic Value Equity Fund ($155 million) and the Classic Leveraged Equity Fund ($65 million). With a three to five year time horizon their strategy is to invest primarily in very undervalued small, mid and large cap equities (market cap >$1 billion). The Classic Global Equity Fund can invest up to 15% in one stock (approx $100 million). Polar Capital was founded in 2001 by former members of a very successful technology team at Henderson. Over 10 years the firm has grown assets under management to $4 billion across both long and long/short strategies and has diversified from its technology roots in recent years. Its latest move at the end of 2011 was to launch a North American fund managed by two established fund managers recruited from Threadneedle. Volksbank Investments is the Austrian Volksbanks' asset manager and also operates throughout Austria as an independent partner for other banks, financial services providers, asset managers and institutional customers. In addition to its core Austrian market, Volksbank Investments also markets its products in many Eastern European countries. They have an active investment policy for equity investments, targeting long-term above average returns. They actively manage a Global Dividend Fund and a US fund. Shares are selected based on a fundamental process that differs from conventional top-down and bottom-up approaches. In the last few years an increasing number of institutions have implemented ESG overlays, expanded proxy-voting policies and incorporated ESG trends into their portfolios. Londonbased Hermes Equity Ownership Services (EOS) is a global leader in this field, engaging with companies on financial, strategic, capital structure, governance, ethical and environmental issues on behalf of major asset owners. It also undertakes intelligent voting at company meetings to reinforce its programme of engagement. It advises pension funds and global institutional investors which control more than $140 billion, in meeting their ESG responsibilities. Hermes Fund Managers, a multi boutique asset management house, was established in 1983 and is owned by the BT Pension Scheme, which is also a client. As of December 31, 2010, Hermes had ï¿½25.6 billion (US$38.4 billion) of actively-managed assets under management for more than 190 clients across international equities, fixed income and alternative investments, with a commitment to generate sustainable risk-adjusted alpha. Recently, Hermes embarked on a programme to open up their investment capabilities to institutional investors. Veritas is an independent investment company formed in 2003 by Stewart Newton, the former chairman and founder of Newton Investment Management and its former CIO Charles Richardson. The firm has a mandate to invest on a global basis to achieve real returns and not relative returns against an index. Assets under management are in the region of ï¿½4.5 billion ($7.2 billion) with 80% in equities. Their approach is long term and involves concentrated portfolios expressing their conviction. Veritas has offices in London, Zurich and Hong Kong. UBS Global Asset Management in Zurich is the institutional investment management division of UBS and manages approximately $530 billion. UBS was founded in 1998 as a result of the merger between Union Bank of Switzerland and Swiss Bank Corporation. UBS also owns Chicagobased Brinson Partners and has major offices in London, Chicago and Geneva as well as Zurich. UBS group, as a whole, has total assets under management in the group of nearly $2 trillion. Established in 1934 to administer the estates of Alexander Henderson, the first Lord Faringdon, Henderson Global Investors is an independent global asset management firm. The company provides its institutional, retail and high net-worth clients with a broad range of asset classes. Following the acquisition of New Star in 2009, Henderson is one of Europeï¿½s largest investment managers with $92.3 billion under management of which $43.7 billion is in equities. AXA Framlington manages around $10 billion for investment trusts, pension funds, charities, institutions, unit trusts and PEP and ISA investors. The firm is AXAï¿½s specialist qualitative manager in contrast to the quantitative expertise of AXA Rosenberg. 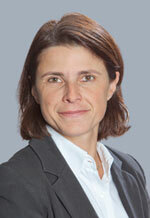 AXA Framlington is primarily a bottom-up active manager which focuses on growth at a reasonable price. Jeremy Gleeson manages two global technology funds with a combined value of just over $110m. The firm has approximately $670m in US equities and $450m in healthcare (including biotech). Brussels-based Petercam was created in 1968 after the merger of two family-owned brokers Peterbroeck and van Campenhout. Today Petercam is an independent partnership involved in asset management, institutional sales & trading and corporate finance. It has approximately $19 billion (ï¿½14.2 billion*) under management including approximately 30% ($5.7 billion) invested in equities. Petercam manages both private client and institutional assets. As well as managing a number of core equity and bond funds, Petercam also offers more specialized thematic funds such as Petercam Equities Agrivalue and Petercam Equities Energy. The firm has offices in Amsterdam, Brussels, Geneva, Luxembourg and Paris. Petercamï¿½s World Fund ï¿½ Petercam Equities World 3F (3F stands for Foundation For the Future) - is a long only global equity fund. It was created in 2001 but on April 1 2008, the investment philosophy was changed as explained below. Founded in 2009, Independent Franchise Partners was formed by Morgan Stanley Investment Management's Global Franchise team which consisted of Hassan Elmasry, Michael Allison, Paras Dodhia, John Kelly-Jones and Jayson Vowles. The founding partners have more than 75 years of combined investment experience. Their investment approach focuses on quality and value. Hassan Elmasry, an American, is IFPï¿½s lead portfolio manager. He has 25 years investment management experience. He joined Morgan Stanley in 1995 and spent seven years leading the $10bn strategy. He was previously at Mitchell Hutchins Asset Management and First Chicago Corporation. London-based Longview Partners is a Global Equities money manager founded in 2001. Assets under management are approximately $2.7 billion, including $1.25 billion invested in US equities. Clients include very high net worth individuals ($25m - $100m+) and institutions, including US pension accounts. Longview runs concentrated portfolios ï¿½ usually holding 30 - 35 stocks. 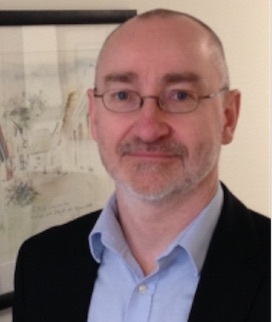 Alistair Graham started his investment management career in 1994 at Standard Life in Edinburgh. He then moved to Scottish Widows in 1998 and to Schroder Investment Management in London in 2002 before joining Longview in 2003. London-based Longview Partners is a Global Equities money manager founded in 2001 with assets under management of approximately $2.7 billion, including $1.25 billion invested in US equities. Clients include very high net worth individuals ($25m - $100m+) and institutions, including US pension accounts. Longview runs concentrated portfolios - usually holding 30 - 35 stocks. 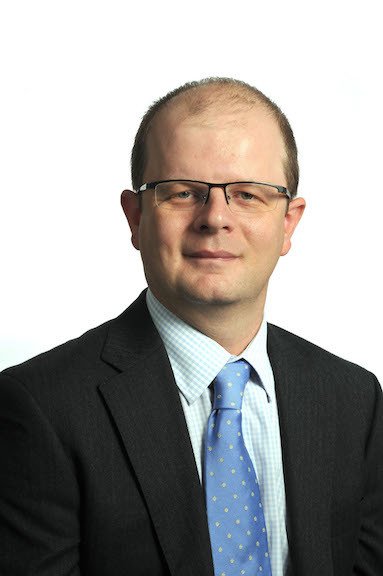 Alistair Graham started his investment management career in 1994 at Standard Life in Edinburgh. He then moved to Scottish Widows in 1998 and to Schroder Investment Management in London in 2002 before joining Longview in 2003. Aberdeen Asset management is a UK-based specialist asset management company, founded in 1983 and listed on the London Stock Exchange since 1991. Total assets under management are in the region of ï¿½141 billion, of which approximately 45% is invested in equities. Bertie Thomson has been a Pan-European fund manager at Aberdeen for 6 years, following his graduation from Edinburgh University. He is a CFA charterholder. Founded in 1956, Union Investment is the number three German fund manager by market share (10% of the market) and has about ï¿½150 billion in assets under management. Its main shareholders are the German co-operative banks. Union Investment is also the largest SRI asset manager in Germany, with ï¿½2.5 billion under management. They manage these assets as long-term investors with an ethical bias. The SRI sector as a whole is one of the fastest growing sectors in asset management in Europe. We have interviewed Ingo Speich, the Portfolio Manager who since July 2007 has been leading Union's SRI effort. BPIM is one of the largest in-house pension fund managers in the UK. The fund has approximately ï¿½13 billion under management (ï¿½16 billion), of which 75% is invested in equities. The fund, which is also one of the oldest defined benefits schemes in the UK, has always had a strong equity bias, reflecting a belief that superior long term returns can be achieved through the stock market. 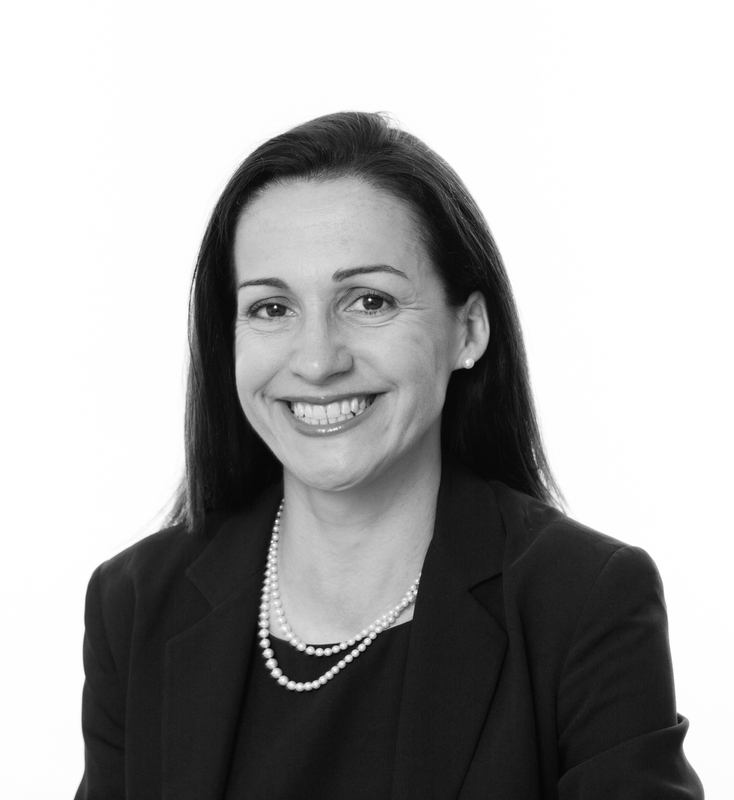 Sarah Watters started out in fund management in 1993 at JP Morgan Investment Management where she worked for four and a half years, before moving to BPIM in 1998 where she is currently one of the two European equity (ex-UK) portfolio managers. Mirabaud et Cie, founded in 1819, is one of Switzerland's oldest private banks and has assets under management in the region of $25 billion. 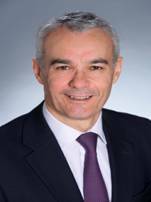 Lionel de Falletans joined the bank in 2007 where he is overlooking the firm's global equity mandates. Prior to Mirabaud, Lionel worked on the sell-side at CSFB, joined the buy-side of Deutsche Bank in London in 1995 before co-founding an investment boutique, Bryan Garnier & Co, in 1998. Aerion Fund Management is one of the UK's largest in-house pension funds and is the principal investment manager to the National Grid UK Pension Scheme. It has $25.1 billion in total assets under management, $7.3 billion in equity assets and $1.3 billion in North American equities. Jonathan Monk has been at Aerion since January 1995 and is one of a two person North American equity team. 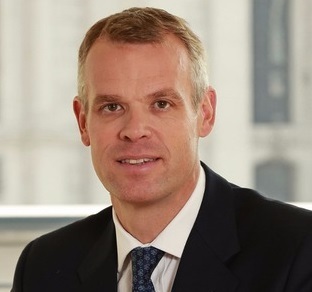 Simon Moss is one of four US fund managers at Scottish Widows Investment Partnership (SWIP), responsible for an $8bn US equity portfiolio. SImon joined SWIP in 2007 as a generalist, but tends to focus on industrial and technology stocks. 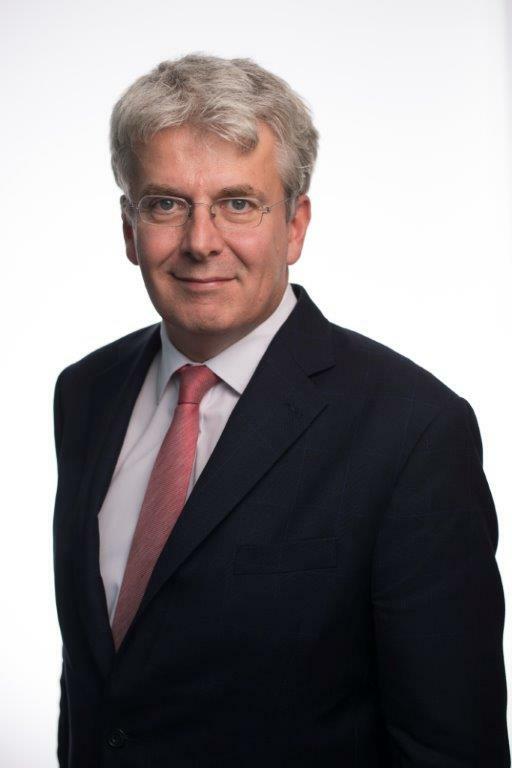 He started his fund management career at ACG in 1987, moved to NationsBank Panmure in 1993 and joined Gartmore in 1995. His period at Gartmore included 5 years working from their Philadelphia ofices, before returning to the U.K.
La Compagnie Financiï¿½re Edmond de Rothschild Banque, the French arm of the LCF Rothschild group was founded in 1953. Today it is one of the few remaining independent players in the French market with assets under management around $44 billion. 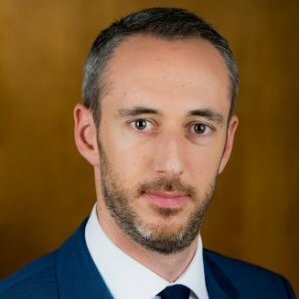 Christophe Foliot joined LCF Rothschild in 2003, is head of a three person US equity team and is responsible for managing $881 million in US equities. 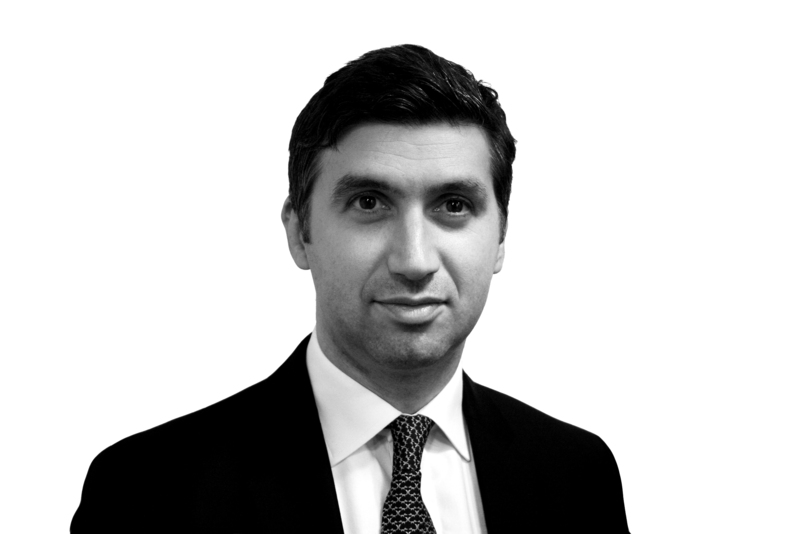 Prior to joining LCF Rothschild, he was a fund manager and analyst at BNP. Carmignac is an independent fund management company created in 1989. Assets under management are $16.5 billion with $13 billion in equities and $3.5 billion in fixed income. U.S. equities account for $6 billion. In the last few years the firm has been voted France's best international fund manager by the leading financial weekly magazine, La Vie Financiï¿½re. The firm focuses on a company's earnings, cash flow and book value. In addition, importance is given to past performance, sector outlook and management strength. Companies with high forecasted growth rates are favored. Their portfolio is concentrated, focusing typically on only 40 stocks. Rajesh Varma has been at Carmignac since 2002 and runs the firm's Infotech and Innovation Funds. Victor Moftakhar is Head of Equities at Deka. 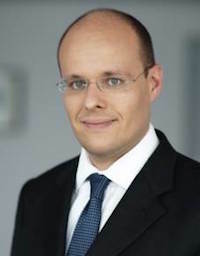 He joined the firm in 1997 and before that worked at a private bank Schroder Munchmeyer Hengst which was bought by UBS. The DekaBank Group is one of the largest asset managers in Germany. It has funds under management of $260 billion (ï¿½ 190 billion) of which approximately $7 billion is invested in U.S. equities and approximately $27 billion is invested in European equities (ex Germany). DekaBank is the central asset manager to the Sparkassen-Finanzgruppe. 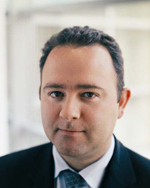 Adrian Darley is head of European equities at Resolution and is responsible for $2 billion in European (ex UK) equities. 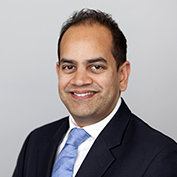 He began his investment management career at County NatWest Investment Management in 1989. NatWest bought Gartmore in 1996 and he then worked at Gartmore for the following 10 years. 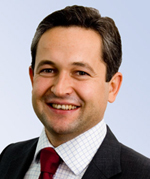 Adrian joined the firm in October 2006. Resolution Asset Management is a ï¿½60bn ($120bn) investment house managing the assets of the Resolution group of companies. Resolution Group plc was established in September 2005 when Britannic Group plc merged with Resolution Life Group plc to become a FTSE-100 company worth ï¿½4.3 billion ($8.6 billion). 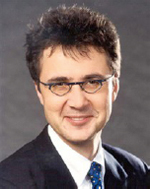 Andy Nigg is head of global equities at Vontobel, an internationally-oriented Swiss private bank. The family-owned bank was first established in Zurich in 1924. Vontobel specializes in wealth management for private and institutional clients, as well as in investment banking. At the end of 2006, the Group held over $88 billion of assets and Vontobel Asset Management managed $32 billion. Elizabeth Fernando is head of European equities at USS, the Universities Superannuation Fund. She is responsible for the $5.6 billion European (ex UK) portfolio which she runs with Warren Low. 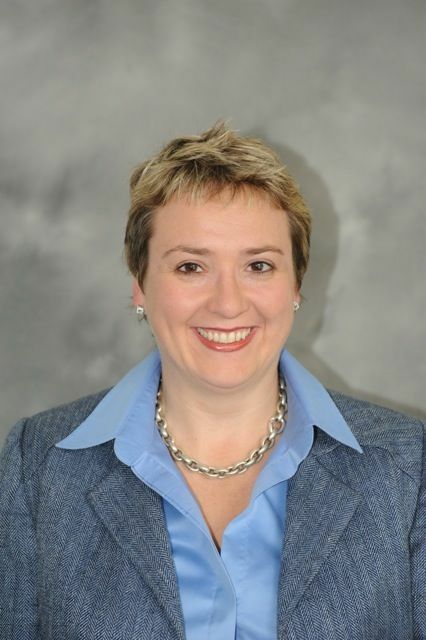 Elizabeth joined USS in 1995 and before that she worked for Lloyds Investment Managers. Per Solvin has been at Swedbank Robur since 2000. He started managing international equities in 1989 and previously worked for Handelsbanken and Ratos, a Swedish investment firm. He is one of a three man US team, responsible for $4.5 billion of US equity investments. Other team members are Jacob Gemmel and Christer Engel. 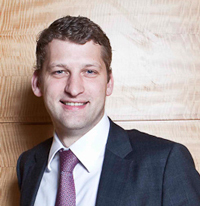 Cambridge educated Neil Ostrer is one of Europe's largest long-only active investors in European equities. He is responsible for $18 billion of European equity assets. He's been managing European equities since 1981. 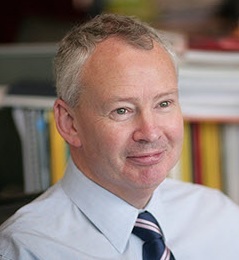 Ex GT Asset Management, he co-founded Marathon in 1986 along with Jeremy Hosking and Bill Arah. Jason Fletcher is head of a three person Americas team. He has been at USS since 1995. Jason worked for British Airways Pension Fund between 1990 and 1995 where he followed Asian markets such as Indonesia and Thailand. In 1995 he moved to USS as the head of Asian equities (ex Japan) and in 1998 he moved to the US desk. Matt Clark and Tushna Ghadially are the other Americas fund managers. Lady Tana Focke, a director of Smith & Williamson, won Fund Manager of the Year: North America at the Lipper Citywire All Stars Awards 2006. The award was presented in recognition of the outstanding performance of the Nucleus American Trust, one of a number of Smith & Williamsons funds. Tana worked as a US broker for 20 years before switching to fund management. She has run US funds for a Swedish bank and a UK life assurance company. Tana joined Smith & Williamson in 1997 to manage its North American fund. Today the fund is worth approximately $105 million and its aim is to achieve long term capital growth. One of London's most experienced technology investors, Alan Torry has been a fund manager since 1972. Now head of technology and US investments at SG Asset Management UK, he launched his first technology fund, the Prolific Technology Fund (now the New Star Technology Fund) in 1982. The Prolific Technology Fund won numerous awards and consistently outperformed its peers over that period. In 1998, he joined the newly formed SG Asset Management and launched its first dedicated technology fund.The SG Technology fund has outperformed its peers since its launch (returning 18.14% versus a return of -10.21% for Technology & Telecoms Average - source: Lipper). Today Alan is responsible for managing equities worth $430 million which includes SGAM's three global technology funds worth approximately $200 million and its US funds, worth approximately $230 million. JOHIM, established in 1986, is a specialist investment house with approximately ï¿½2.3 billion ($4 billion) under management. JOHIM was established to look after the interests of high net worth individuals and associated portfolios. More recently, the company's scope has widened to include charities and specialist funds. Whilst bespoke private client portfolios still represent the mainstay of JOHIM's business, it also manages over ï¿½300 million ($540 million) in pooled funds. The stable of Open Ended Investment Companies (OEICs) includes the JOHIM Global Fund, the JOHIM European Fund and the JOHIM UK Fund.